At the call of 3-2-1- Go! All for athletes will advance to the serpent, and clean it to either of their shoulders, but all on the same shoulder, with the lead athlete behind the first cone. The athletes will then proceed to lunge to the next cone, 25m ahead. When the last athlete crosses the line of the cone, the athletes will then complete 20 thrusters. Thrusters May be completed on either shoulder, as long as all athletes have the serpent on the same side. 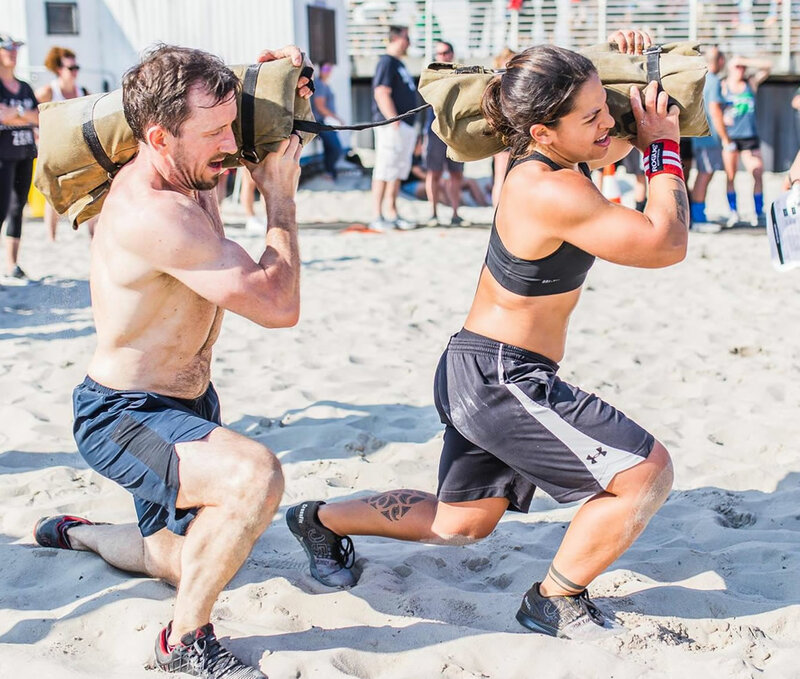 For the scaled division, the athletes will follow the same rules, completing 20 serpent squats. Upon completion of the 20 reps, the athletes will drop the worm and complete a 50 meter shuttle sprint, to the first cone and then back to the worm. The athletes will continue to advance the worm, each time lunging until all 4 athletes cross the next cone. Complete the 20 reps. And again run, as a team, to the previous cone and back. The run will total 50m each time. The athletes are not required to return to the first cone on each run, just the previous cone. The workout is completed when the 4 athletes lunge past the 5th cone (100m), complete the 4th set of 20 reps of thrusters/front squats, and complete the final team shuttle (back to the 4th cone) with all 4 athletes crossing back over the 5th cone(finish line). Scaled for this work out is squats instead of thrusters.